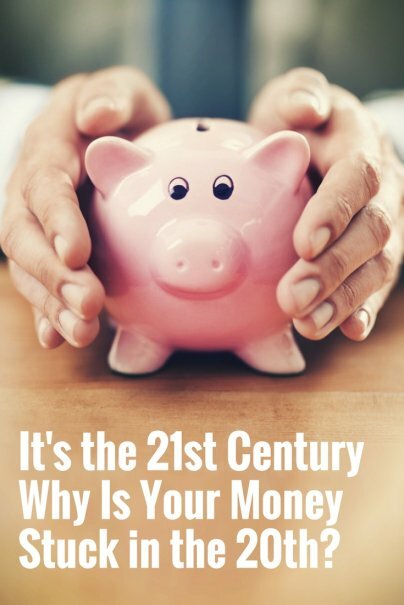 Home » Personal Finance » It's the 21st Century — Why Is Your Money Stuck in the 20th? If you read financial advice these days, you could be forgiven for checking the date to see if you'd wandered back into the 1990s (or 1970s). What was good advice for the 20th century? Go to the best college you can, get a good job, live frugally, save and invest, buy a house, and max out your retirement savings. But all that generic financial advice of the 20th century isn't necessarily the surest route to success anymore. Millennials figured this out a while ago. That's why so many aren't bothering with college, why so many are living at home with their parents, and why so many are getting by with casual jobs — or no jobs. So, what's the right financial advice for the 21st century? Well, Millennials' instincts aren't wrong. But these are hard waters to navigate purely on instinct. Here's what I'd do. It's Not "Don't Go to College"
Rather, it's "Don't go into debt to go to college." Even that is a bit extreme, because there are career paths — engineering, technology — where you can earn enough to pay off student loans. It would probably be even better to say, "Keep your student loans small, relative to your prospects of paying the money back." In particular, don't pay up to attend a mid-tier college. In the 20th century there was real ROI in going to the best college you could get into. In the 21st century, I think that's only true at the top. If you can't get into (or afford!) one of the absolute top colleges, there's no reason to pay extra to attend a second-tier college. The cost-benefit ratio shifts strongly in your favor if you do a couple of years at community college and then finish your degree at a good state school. Of course if your family is rich or you can get excellent scholarships, there's no reason not to go to a second-tier college — just not if you have to borrow extra to do it. Even if you can get into a top-tier college, consider whether its cost is justified. Will your degree ensure a job upon graduation, or result in better-compensated roles than you might otherwise have access to? Will it make entry into a graduate program of your choice easier? Will it materially benefit your intended life path in some way? It's Not "Live at Home With Your Parents"
Rather, it's "Live a lifestyle you can really afford, even if that means living at home with your parents." Do not go into debt to support your lifestyle! In fact, you'll be way ahead of the game if you can start accumulating a little capital. Even just a small emergency fund can make your life enormously better. Other sorts of debt may not be as bad as student loan debt (which can't be discharged even in bankruptcy, and which lenders will give you even if your planned course of study gives you no hope of ever paying it off), but that doesn't mean the other sorts are okay. It's Not "Work Casual Jobs"
Rather, it's "Find a way to support your low-cost lifestyle, even if all you can get are casual jobs." There are all kinds of ways to make money. There are good jobs, there are crappy jobs, there are side gigs of all sorts. The key is to fund your lifestyle (plus a little extra). In today's economy there are times and places where crappy jobs are all you can get. That's unfortunate. Also unfortunate is that so many people writing about "kids these days" don't see that these two items are paired. Millennials are (very wisely) matching lifestyle choices with income opportunities, while journalists (and even financial advisers) are pretending that these two things are independent of one another. Investing used to be easy. From around 1980 through the end of the 20th century, just about any mix of cash, bonds, and stocks purchased through low-cost index funds would yield several percentage points above inflation, letting anybody be an investing super-genius. Housing prices didn't go up in a straight line through the whole period, but between the tax advantages of homeownership and the leverage of mortgages with a low down payment, as long as you didn't pay too much, anybody could have both a home and a valuable capital asset. Because none of this stuff is true any more, investing is now really hard. The return on cash has for years been so close to zero as to be not worth worrying about. Bonds, stocks, and real estate are all up so much since the crash that they're probably a lousy place to invest new money. None of which is to say that you shouldn't be frugal and accumulate some savings, but doing so will not be the path to wealth this century that it was last century. That means that we need to look someplace besides the 20th century for financial advice. And for that, I have an idea. The 20th century was genuinely different. For about two generations — the generation that fought World War II and the Baby Boomers — we had a unique set of circumstances that made it possible to work for a paycheck and eventually, before you got too old to work, get rich. Until then, for all of human history, there were only two paths to wealth: You could inherit wealth, or you could achieve wealth through some sort of risk-taking endeavor (entrepreneurship, speculation, etc.). Those unique circumstances no longer apply, and because of that, the best place to look for strategies for the future is to look at the strategies that worked before the 20th century. The 17th, 18th, and 19th centuries will provide fertile ground. Things that worked then are going to work better going forward than reflexively copying what worked in the 20th century. Perhaps financial professionals can be forgiven for not having figured this out — the whole financial industry is a product of the 20th century. I have a book of financial advice from 1883 called Worth and Wealth by T.L. Haines. It's a fascinating book. Much of it reads exactly like personal finance advice from today (minus any high-tech stuff like automating your bill paying) — getting an education, finding a job, living frugally, and so on — except that it has nothing about what we would consider investing. There's nothing about stocks or bonds. Instead, there's investing the way it was done in prior centuries. That is, invest in your own business. The sorts of paper investments — stocks and bonds — that did so well in the 20th century are not going to go away, and no doubt a lot of people will make a lot of money in the market. But I don't think we'll see a continuation of the days in which a simple diversified portfolio of stocks and bonds provided a safe, high return. Of course, running a small business is more like a full-time job than like passive investing. And that's my point. The right response now to any the article on investing for "passive income" is to shake your head and say, "That's so last century." The idea of an individual person as the fundamental economic unit is an idea of the late 20th century. Before that the fundamental economic unit was the family. There are all kinds of advantages to organizing your economic life around a family with more than one adult. It meshes especially well with the ideas I've already mentioned. Family members may work outside the family to bring in wages or a salary, but if there's family land or a family business, family members who lose their jobs can work them until they find a new job. That way the family still has some income and the family member has productive work to do. One mental model for this might be the big farm families of the 19th century, but I suggest that you think bigger. Model your home economy after the aristocratic families of the 18th century. Everyone can contribute. The most able can be given scope to vastly increase the family's wealth, while the young and the old and those who simply lack that spark can still contribute to (and share in) the family's success. If organizing like a family doesn't work for you, consider organizing like a tribe. It's probably an even better metaphor. In all these areas, I think that the Millennials' instincts have been pretty good, except that I think they've bought in on the 20th-century idea that the economic unit is the individual. That's understandable. It's an appealing model, one that gives maximum freedom with minimal responsibility — you're only responsible for yourself. Because of this, I worry that many of them, even those who are making the right moves on a piecemeal basis, have not figured out that the 21st century is going to look a lot more like the 19th and prior centuries than like the 20th. The choices that they make — in particular, the choice to live at home with their parents — show them instinctively moving in the right direction, but until they can correct their mental model, they're missing out on some useful perspective that history can provide. Look into how families organized their home economy before the 20th century. There's a lot of practical wisdom there. Where is your money — in the 20th century or the 21st? Great article Philip. The headline is what pulled me in haha. But you make some great points, especially the bit about college. As someone who just dove into college without thinking about the financial end whatsoever, I always recommend people consider the costs of college when making their decision on where to go. The world of work -- and pay -- is changing. And will change even moreso as technology/automation is getting set to take over many jobs in the next decade. In many markets, the combination of high housing costs along with precarious employment, makes it next to impossible for many millennials to plan medium-to-long term such as buying a house or getting married/having kids. As long as one has cool-enough parents and contributes something to the household expenses, living with the parents for a couple years is actually a very wise financial move! And what is old, becomes new again - perhaps we are returning to the days of when families lived together and helped each other?! Multigenerational households were the norm for millennia. And true enough, the entire concept of the individual, or the 1950s nuclear family household, is a very new - and expensive - concept in the annals of human history, living, working, and support.